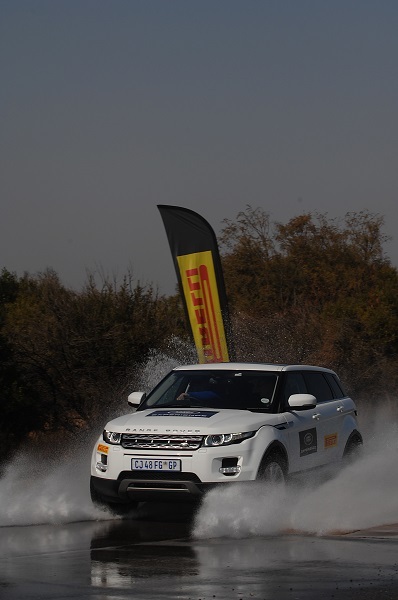 All Things Jabu was invited by Pirelli recently to join them for the Pirelli Land Rover driving experience. 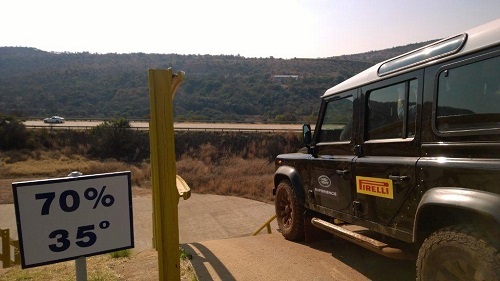 The event was held at amazing Gerotek Test Facility just outside Pretoria and would be hosted by Pirelli of course with the assistance of the highly skilled instructors from the Land Rover Experience (check them out here). My impression upon arrival at the Gerotek Test Facility was like we were entering a top secret military base, I suppose a little Gupta-like. The place is huge and has multiple obstacles and facilities available for putting any vehicle through its paces. We were first given a brief presentation on the range of SUV specific Pirelli tyres at the Gerotek Conference Centre, as well as shown the latest developments from Pirelli worldwide. I was really intrigued by the technology and research that goes into developing the tyres that we take for granted and can understand why Pirelli are the sole suppliers for Formula One on this evidence. When the presentation was done we met the beautiful beasts who we would be putting through their paces during the course of today. Pirelli had arranged a fleet of Land Rovers and Range Rovers for us to use and of course they were all decked out with exceptional Pirelli tyres. Our day had been divided into two segments, being the on-road training and the off-road training. I was assigned first to the on-road training group for the morning session. As we head towards our first destination, the skid pan, I was really starting to feel a little like a kid in a candy store. We were given some of the most advanced and beautifully put together SUV’s and set free under the supervision of the expert instructors. To start with we were given a short briefing on the right and wrong ways of handling the skid pan and then we were piled into the SUV’s and shot around the course with the instructor at the wheel. Then came the part that I was really excited for we were handed the keys to the cars and sent out on the skid pan. The instructors gave us a reminder of what we needed to do and off we raced. First of all the turn around the skid pan is really tight and you need to hit 90 kilometres per hour before the water, which itself was a challenge before you even get to the water. Every instinct and 13 years of bad driving habits had me wanting to slam anchors before I even hit the water. Fortunately I fought through that and carried out my instructions. The feeling was exhilarating and I was dying to give it another try. The vehicles were amazing and the Pirelli tyres were put through their paces and they held up easily. The rich racing history of the Pirelli tyre really showed. 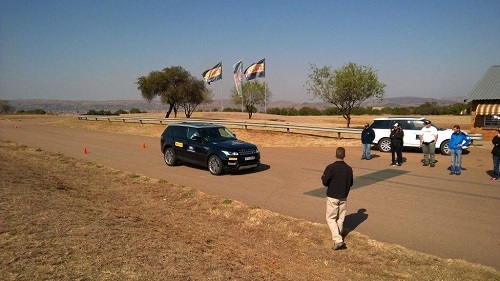 For the second half of the morning session we were taken up to the Dynamic Driving Track, where the instructors would do their best to explain to us how to corner and handle these SUV’s appropriately. The instructors first gave us a demonstration of the effect of speed on the stopping distance which demonstrated the importance of having a really decent tyre on your vehicle. Then came our turn to head around the track, I hopped into the Range Rover Evoque and headed out onto the track. On my first loop of the track the instructor explained the best method for the most efficient cornering and keeping the vehicle on the road. Although the track was not the most technical it still took loads of concentration to carry out the instructions. It was very exciting and again I had to overcome a number of years of bad habits that I had developed. It was quite hair-raising to sit as a passenger while other participants manoeuvred their way around the track. It gives you a real appreciation for racing drivers and the skill that they have. After our lunch break my group headed up to the off road segment of the day. We had Land Rover Defenders and Land Rover Discovery’s to take on the off road section of the course. The instructors ensured that the vehicles were properly set up and gave us the instructions on how to tackle various elements of the course; they then headed out to the course and left us to our own devices. I first headed out on the course as a passenger in a Defender, you really felt each element of the off road course as the Defender fought each obstacle to make its way to the end of the course. On my next venture onto the course I managed to secure driving duties in a Discovery, which was a completely different animal on the off road course. 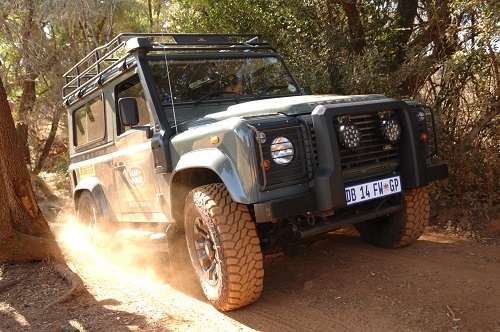 The Discovery is truly a Luxury vehicle but it handled the off road course just as well as the Defender. With all the assists on the Discovery really handles the terrain and carries you through the major obstacles. This was definitely my favourite activity of the day, as a city boy I really don’t get much chance to go off-road, beside that I hardly think that my Kia Rio would hand the course like the Discovery did. I took whatever opportunity I could to give the off-road courses another bash. We would be heading down a 75% slope which is a 35 Degree hill. Picture a hill that is almost straight down. The only steeper hill would be a 45 degree slope which is almost straight up. The instructors explained to us that the 45 degree slope is only used for testing purposes and normally the vehicle would be secured by a rope so that it does not flip over. The instructor again ensured that the vehicles were correctly set up. Again I was first a passenger in the Defender, the car will really take you down the hill there is very little that you need to do, just remember to not touch the brakes and clutch until you get to the bottom of the hill. The only problem with those instructions was our instincts, on the way down the hill the engine in the Defender revs like it is being absolutely abused and your instinct would be to hit the clutch to give the engine a small break. That is a terrible idea, if you press the clutch the engine disengages and the vehicle will free wheel, just as my driver found out near the bottom of the decent. A 2.5 ton vehicle on 75% slope will pick up speed very quickly if you press the clutch. Fortunately he managed to keep the vehicle under control, the Pirelli tyres obviously assisted with this as well as the fact that I was wearing underwear. What goes down must go up it seemed on the day, for as we reached the bottom of the hill we had to get the vehicle back up again. To do that we had to get a 2.5 ton vehicle up a 31 degree slope, again sitting in the vehicle and heading up the hill all you could see is blue sky, and of course if you rolled here it would be backwards. After getting back to the top I took the first chance that I could to get behind the wheel of the Discovery and head down the slope. Again with all the assists the Discovery really does everything for you and getting down the hill is really quite simple, it is still a nerve jangling moment as there is a point in the whole thing when your seat-belt is the only thing holding you into your seat and you can see nothing in front of you other than the hill. You know that you are heading down a steep hill when the park distance control is going nuts because of the ground in front of you. Even though I was a little nervous I still really enjoyed the experience and was very happy to have tried that. This was really a once in a lifetime experience and All Things Jabu would really like to thank Pirelli for allowing us to join them on an amazing day out.